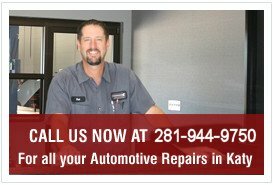 Serving the W. Houston area, YHS Automotive Service Center is located in Katy, Texas. 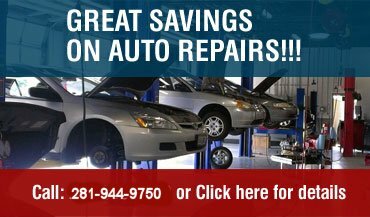 Specializing in Honda, Acura, Toyota and Lexus vehicles, we can perform all scheduled maintenance and repairs for your car, truck or SUV. We use genuine parts from the manufacturers of these vehicles or high quality after-market parts in some cases based on availability and your approval. While YHS Automotive is a specialty repair center, we also provide full service repairs for other makes and models as well. Our technicians are ASE Certified Master Technicians with ongoing training from Honda and Toyota dealers. With two ASE Master Technicians, YHS Automotive Service Center has more than 40 years of combined experience and expertise to resolve the most difficult automotive repairs at very reasonable prices. This knowledge and experience helps the mechanics diagnose each problem correctly. We know how to conduct lasting repairs that you can rely on. Our shop is also equipped with a wide range of high-end repair equipment ensuring that we have the right tools to get the job done. Our staff understands that many customers need their vehicles on a daily basis and we strive to finish your car repairs as quickly as possible. However, our professional Toyota and Honda technicians know that quality is more important than speed. We take the time to complete each repair properly so that you won’t have to come back. We provide Houston-Katy area motorists with a way to obtain top-notch specialized repairs without using expensive auto dealers. Our shop also provides regular maintenance, such as tire rotations, oil changes and much more. If your Honda, Toyota, Acura or Lexus vehicle needs service, please give us a call or schedule an appointment online. Our Honda/Acura and Toyota/Lexus ASE Certified Master Technicians understand all of the brand-specific components in these vehicles. This knowledge, experience and expertise provides an accurate diagnoses with any repair you may need and prevents repairs that you don’t need. We know how to conduct lasting repairs that you can rely on and provide Houston-area motorists with a way to obtain top-notch, specialized repairs without the expense of a visit to the dealer. We only use qualified technicians because quality and service are very important to us. You can rest assured in the knowledge that an expert is working on your vehicle. 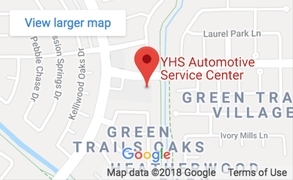 YHS Automotive Service Center in Katy, Houston, TX is here for you! Swing by or please give us a call for more information to keep your Honda, Acura, Toyota or Lexus in excellent condition.